At this year’s International Manufacturing Technology Show (IMTS), from September 10-15 in Chicago’s McCormick Place, B&R Industrial Automation Corp will introduce track technology enabling The Adaptive Machine at booth E-134111. An adaptive machine has the capacity to change over on the fly, and moreover, to reconfigure with different production modules on the same base machine platform. This new generation of production machinery is readily adaptable to constant size and format changes. In addition, it is reconfigurable to radical and unforeseen requirements through corresponding equipment changes, such as replacing a welding module with a forming module. 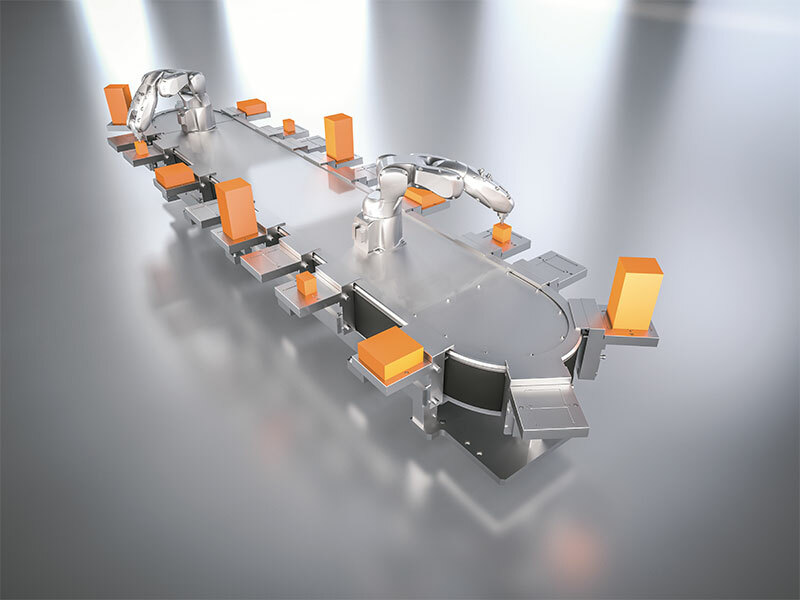 Adaptive machines are defined by individually controlled modules with multidirectional movement, tight synchronization with other (often robotic) devices, and exceptional production flexibility. Adaptive machinery will compare favorably in all aspects of productivity measurement – OEE, ROI, TCO – as lot and batch sizes shrink and throughput (lead time and volume) requirements remain critical. At IMTS, B&R will introduce advanced track technology that enables the adaptive machine for profitable production down to batch of one. IMTS attendees can also discover the world’s first field device for OPC UA. The new X20 I/O system bus controller makes it possible to implement OPC UA communication from the sensor layer to the ERP layer without any interfaces whatsoever. B&R has further expanded its portfolio of modular mapp software components. IMTS attendees will also be introduced to the new mapp RoboX and mapp Teach that make it faster and easier than ever to get robotic systems configured and ready for operation. IMTS attendees will also learn more about the SafeDESIGNER library for press applications. B&R is one of the first manufacturers to offer a complete set of the function blocks specified in PLCopen Part 4. As a result, users working with safety-critical press applications will have a much easier time setting up the necessary safety functions. IMTS attendees won’t want to miss out on the live TSN testbed in B&R’s booth, as well as a cutting edge presentation by B&R’s Business Development Director, John Kowal on “Beyond the Brownfield: How the Adaptive Machine makes IIoT a Practical Reality,” on Tuesday, September,11, 2018 at 3:15 PM in the West Building – Level 1 of McCormick Place, IAMD. B&R, a member of the ABB Group is an innovative automation company with headquarters in Austria and offices all around the world. As a global leader in industrial automation, B&R combines state-of-the-art technology with advanced engineering to provide customers in virtually every industry with complete solutions for machine and factory automation, motion control, HMI and integrated safety technology. With Industrial IoT communication standards like OPC UA, POWERLINK and openSAFETY as well as the powerful Automation Studio software development environment, B&R is constantly redefining the future of automation engineering. The innovative spirit that keeps B&R at the forefront of industrial automation is driven by a commitment to simplifying processes and exceeding customer expectations.